Hi WooCommerce store owners, the 2.3.8 Plugin update is a minor Plugin release resolving a UI compatibility issue with WooCommerce 3.3 and additional Action exposed after successful CRON imports. Hi WooCommerce store owners, the 2.5.1 Plugin release is a minor Plugin update adding additional export fields, filters and native export support for more WooCommerce Plugins. Native export support for 106 Plugins! 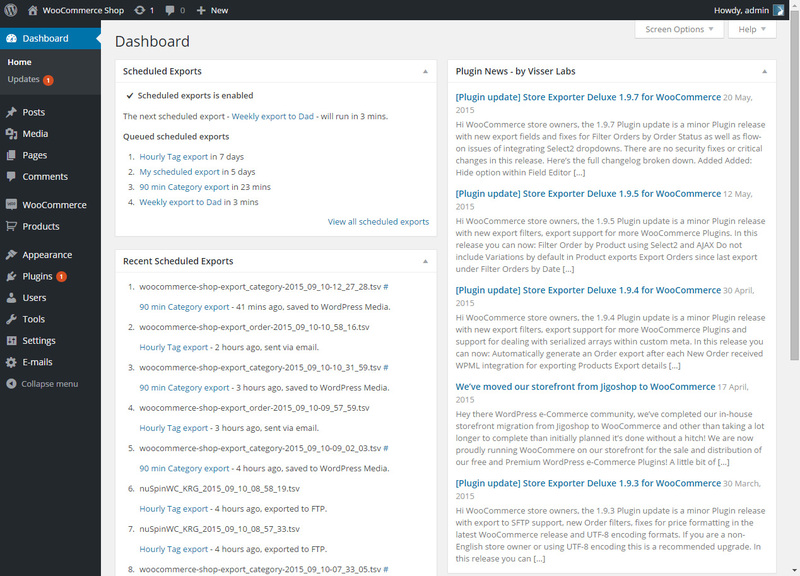 Hi WooCommerce store owners, the 2.0 Plugin update is a major Plugin update 4 months in the making! 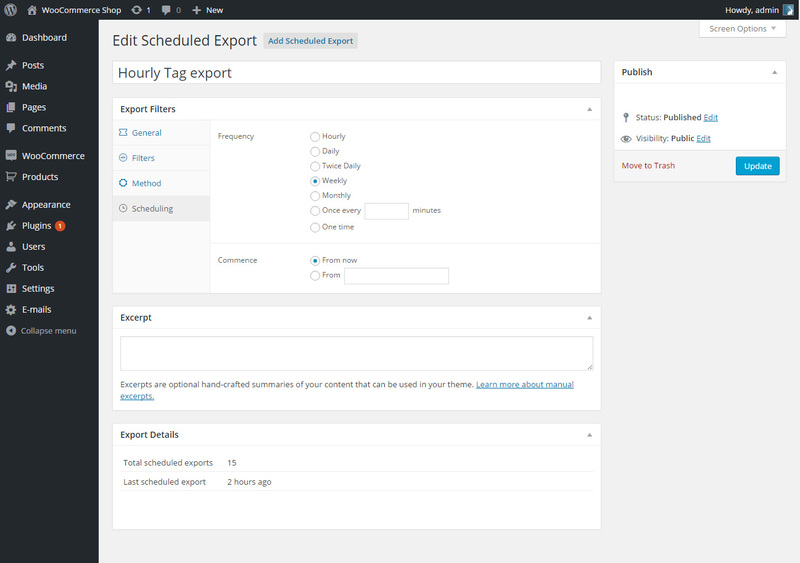 Multiple scheduled export, more filters, more export types, more export fields support for WooCommerce Plugins are included. There are no security fixes in this release but significant changes to the scheduled export and WP-Cron export engine will take immediate affect after updating/activating the 2.0 Plugin release. 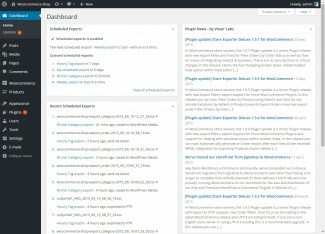 Here’s the full changelog broken down. Hi WooCommerce store owners, the 1.9.2 Plugin update is a minor Plugin release with improvements to our scheduled exports scheduling support, there’s WooCommerce Bookings support and fixed export filenames for FTP exports.